During driving through the woods of Jungle Rock Island came me the Idea of a Car Transporting Bar like I saw a lot in my holidays. So here it is, but for now without a custom body nor with tires. But the thinks will come with the time . A Video is also in work. Last but not least the disclaimer that this is a Mod in early alpha to get some feedback from you, so smash your keys and give me some feedback. PM: The best way to tow a car is with the rear wheels and activated parking brake like at the second Screenshot. 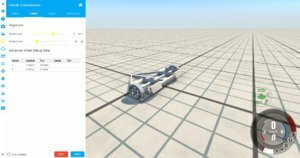 Like the title says, this Update adds: Temporary Wheels (and yes they are invisible) / Lifter / Retractable Ramp. Big Thanks to the feedbacker for their nice and useful feedbacks. You Rocks! This Version corrects the color mask and adds simple UV-Mapping layouts. The trailer got minor improvements. The ramp is still invisible because I have some trouble with it to get displayed right. The whole trailer is also a little bit to tipped. carty04, Duster02, thomatoes50 and 8 others like this. I find when I take a corner... a wheel from the am I am moving falls out the wheel slot... maybe a platform on the axle that is centered b springs when empty is a good idea... cause then I have to attach some nodes on the tires and not worry about it... instead, if I do that it drags the car's back wheels. (the car getting towed) a texture to bring realism and some standard steel trailer wheels would be a nice... like when you see one of those U-HAUL rentals... you can get an idea of what they really look like. 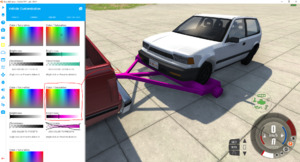 You need to attach the Trailer to a Car and toggle the handbrake on the car, then the Ramp will be extended. While it looks good, and has no real bugs. I can't give it a 5 as it is way too easy for cars to fall off of. Even at low speed cornering and light acceleration the vehicle being towed will fall off. Yeah agreed. I´m working on it to prevent this, but it´s harder than I thought. nice. 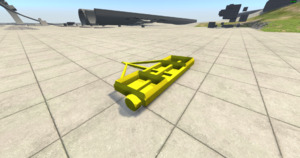 i suggest that you should add the wheels from the small trailer. and maybe you could add a HD variant with duallys. but overall a great mod! Thanks, I´ll come back to your suggestions, when the base is finished. Very hard to get cars on, and very buggy. What Bugs do you mean exactly? Anyway thanks for a constructive feedback. yay my wheels sugesstion went through. Thanks great mod. sorry for the typos.